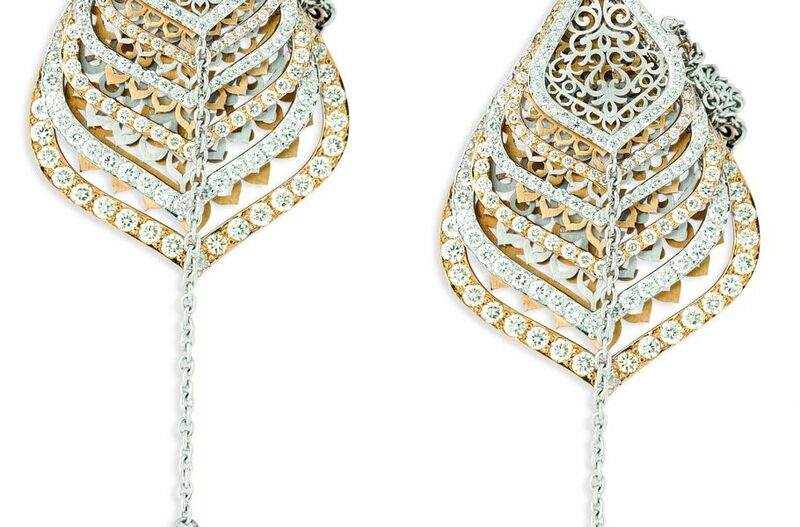 Earrings have always been looked at as a humble accompaniment to the larger piece of jewellery, yet even on its own, it proves to be no less than an absolute stunner! Adding a contemporary twist to this beautiful form of jewellery, ORRA has launched special Japanese styled earrings. 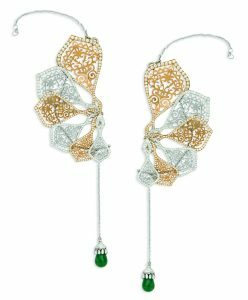 A true example of fine Indian craftsmanship, this pair of multi-functional earrings, is inspired from the Japanese folding fan or ‘Ogi’ and can be worn as a both as a chandelier as well as an ear cuff. While for the Japanese, the Ogi came to being as an information device containing various court orders, letters and other such rules and regulations, it was only much later that it was recognized and used as decorative fan art. As there is no limit to what once can think of in terms of fashion, we have carefully captured the Ogi’s subtle essence while incorporating it into the earring mechanism. 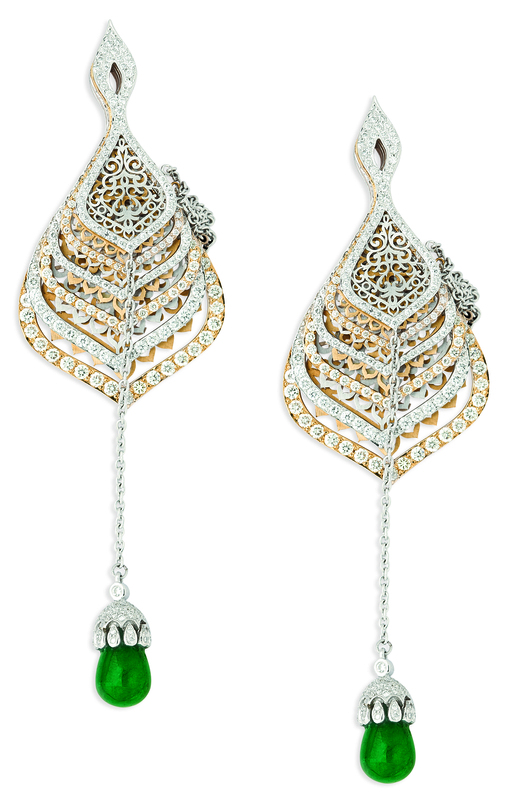 Proving to be nothing less than a red carpet stunner, the piece calls for flair accompanied with absolute grace! While in its chandelier form, the earring showcases its beautiful layers, as an ear cuff, it adorns the entire ear, with a drop shape emerald glistening at the end. Sure to make heads turn at your next cocktail event, we are sure you will fall in love with both of its stunning forms! Studded with 6.71 carats of 922 brilliant cut diamonds, set in a combination of 34.90 grams of 18k rose gold and white gold, the intricate filigree pattern with Indian motifs, adds a more dramatic look to the entire design. 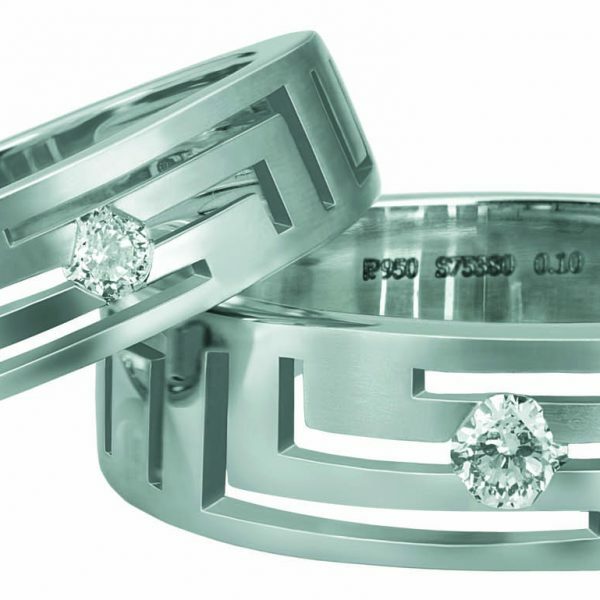 Call us on 18002661888 for more details on this exquisite piece!